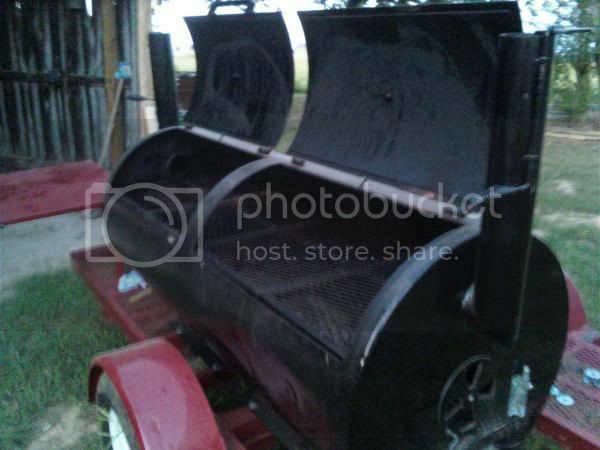 I'm a cooker not a fabricator so I'm very nervous about chopping up my smoker in the hopes that I have a better cooker. 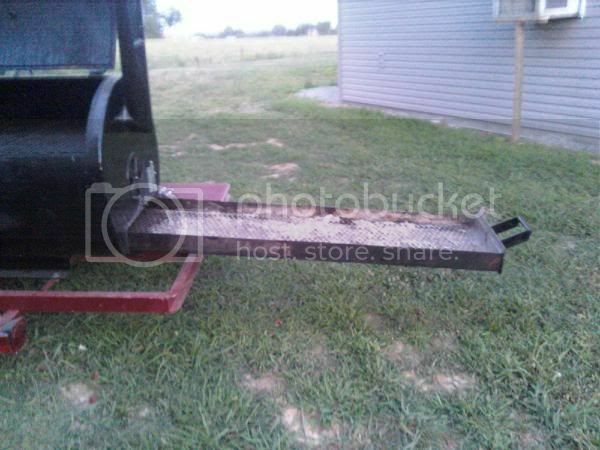 However, I realize I waste a tremendous amount of wood using a burn barrel and want to get your thoughts on my ideas for modification. 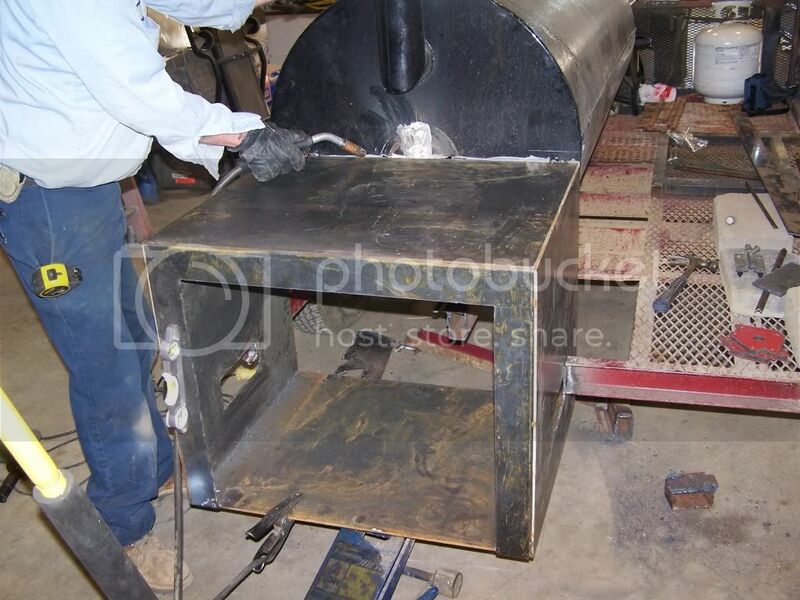 Based on the dimensions of the cooker 6' by 30" and using the "calculator" I believe I will need a firebox 2'x2'x29.5" with a 2'x6" gap between the firebox and cooking chamber. One concern I have is the size of the smoke stack. 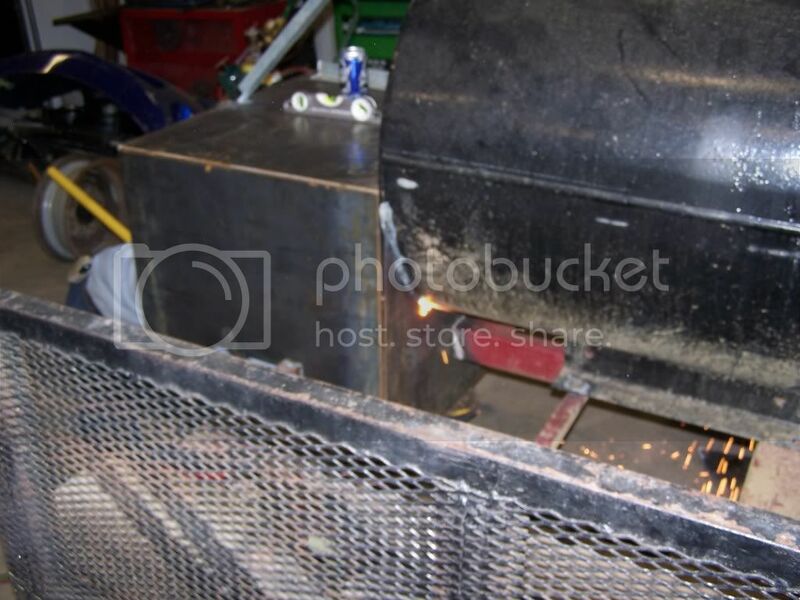 My intention is to create a reverse flow smoker so I would keep the smoke stack on side away from the firebox closed at all times but I'm concerned the smoke stack on the firebox side is too small to create the draw I need. Your thoughts would be greatly appreciated. I'm not sure what size your exhaust is, but based on your pics. it does look a lil small. 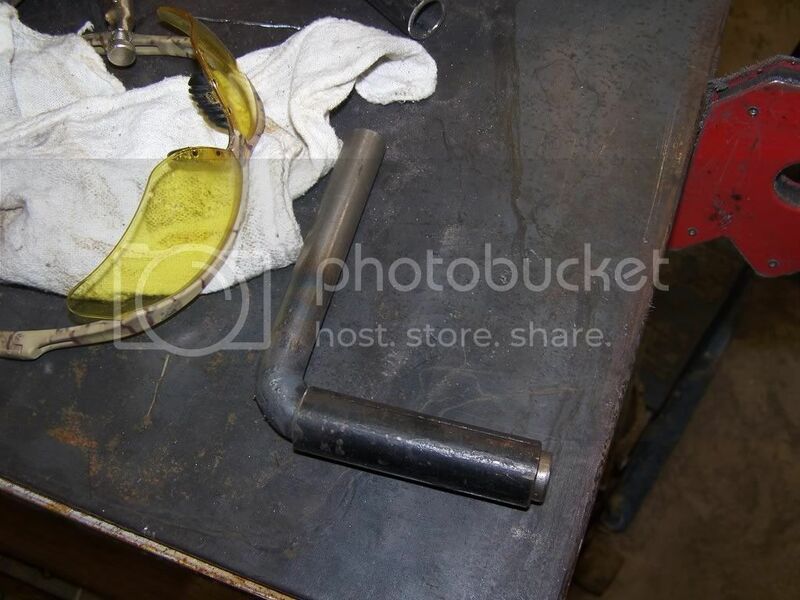 What's the diameter of the pipe? joshshef1 the existing exhaust is 4" diameter x 2'. The calculator calls for 8" x 17". 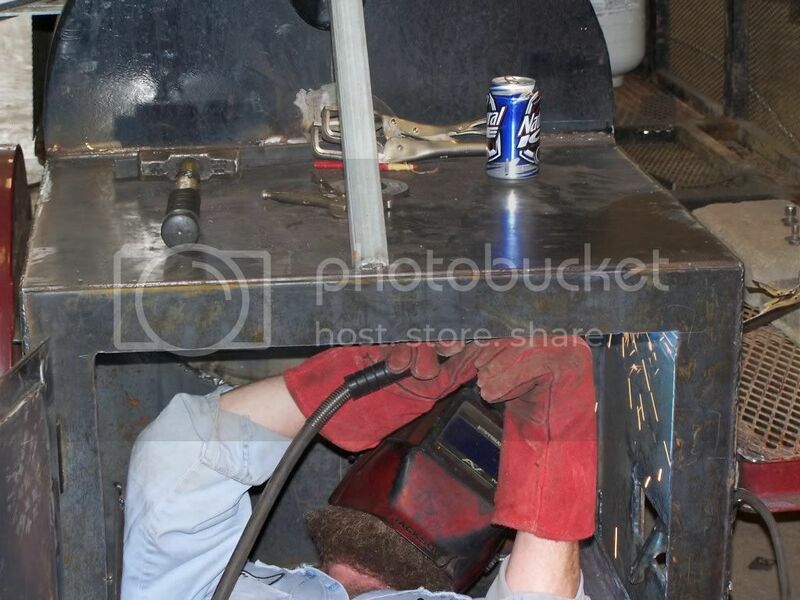 I'm wondering if I can just add another 4" exhaust placed on top of the cooker? 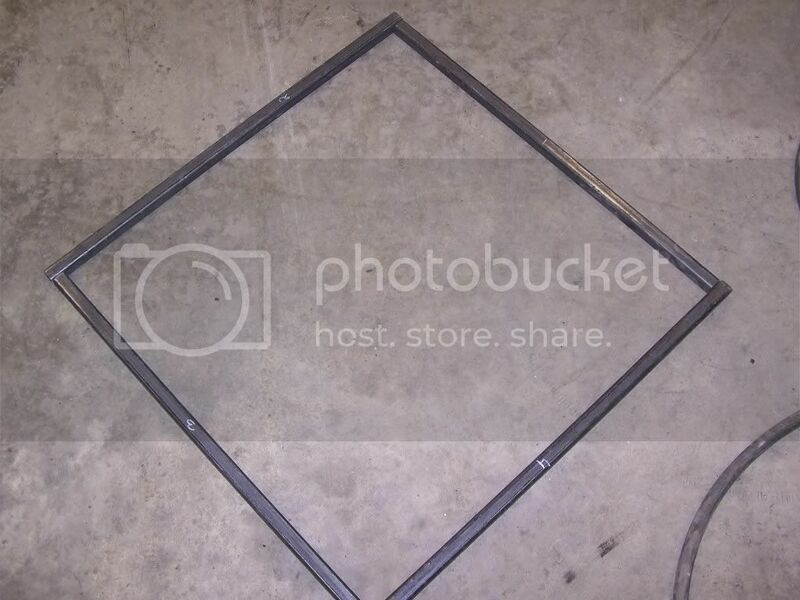 8" pipe provides 50 square inches of area, while the 4" only has 12. So doubling up the 4" will only get you half-way. The calculator says if you extended your 4" stack to 6 feet tall, you'd be all set with your intended firebox dimensions. Otoh, doubling up with 4" diameter stacks would be the equivalent of a single 6" stack (rounding up from 5.6") and if you plug that 6" stack diameter into the calculator, the resulting stack height would come down to 30 inches. Wow. Glad I asked. When we get started I'll post more pictures. Sorry for the formatting. This was my first time posting pictures. I think I figured out the problem and will open a new, more user friendly post next time. Thanks! Thanks day_trippr. Now on to the build. day_trippr...I just realized the measurement on my existing smoke stack is 4"OD and 3 1/2" ID. Will this change your calculations? 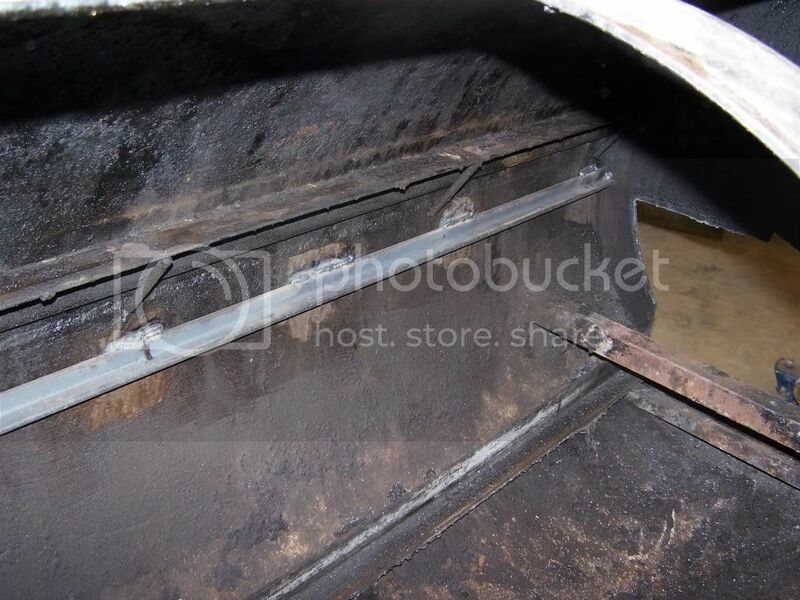 On the location of the firebox, I already have an existing opening where the coal drawer pulls out of the cooking chamber. 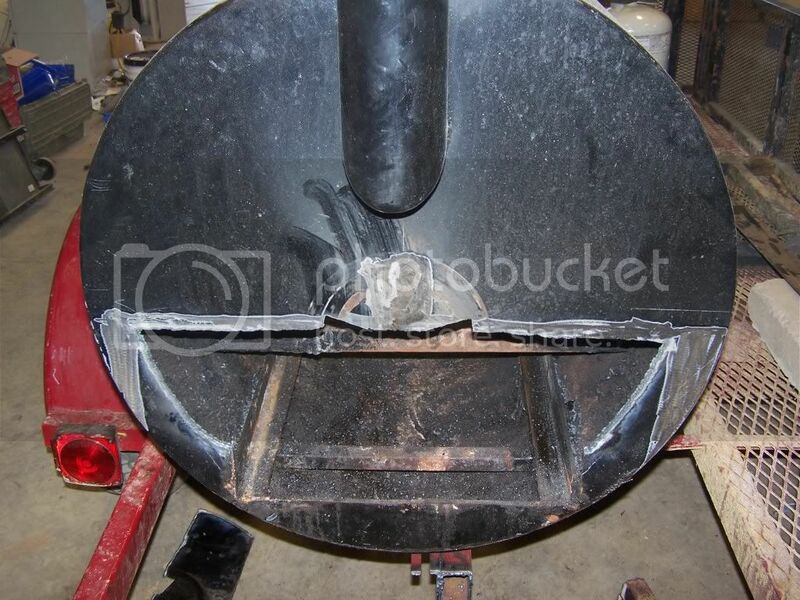 Does the top of the firebox need to be within a certain distance to the top of the existing opening? A 3.5" ID stack doubled up with a second stack of the same ID would be equivalent to a single 5" ID stack. 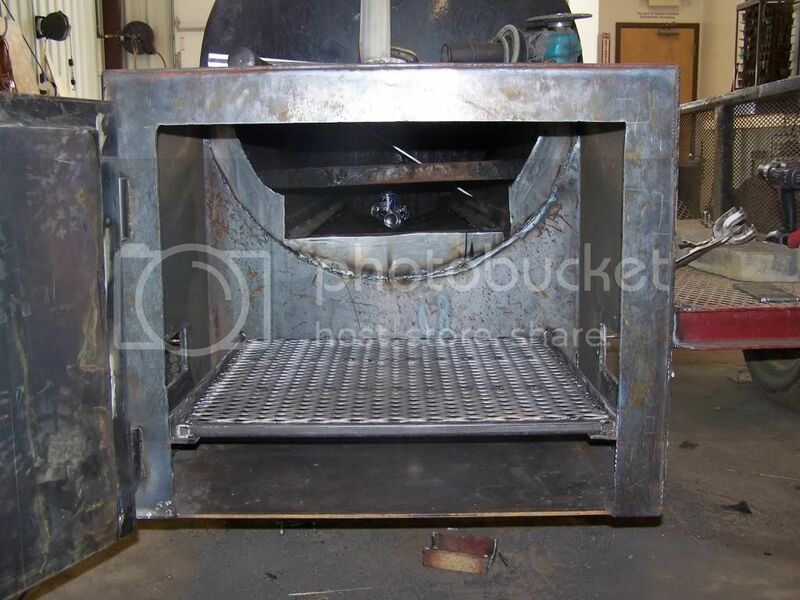 Using your earlier cook chamber & firebox dimensions, the spreadsheet recommends that a 5" ID stack should be 43" tall. Should be doable, I'd think. 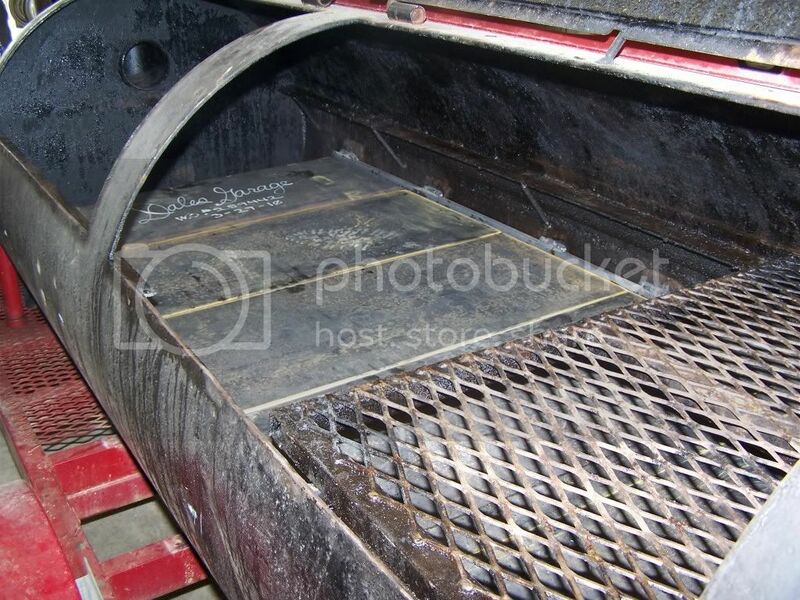 As for the firebox-to-cook chamber connection: the optimum would have the top of the firebox opening as near as possible to the top of the firebox, to minimize if not eliminate any hindrance to outflow. 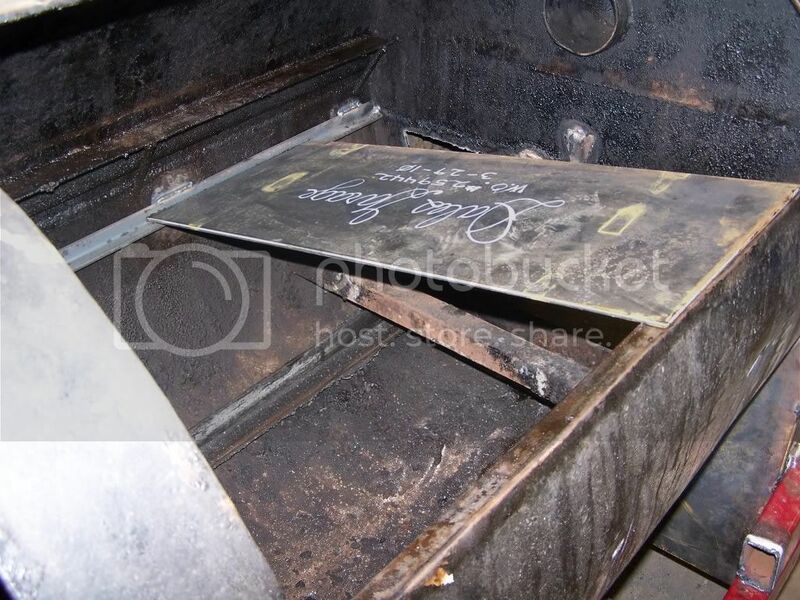 And the top of the opening into the cook chamber (ie: the same elevation AGL) would be at the ideal height of a tuning or reverse-flow plate - which in turn would be at the ideal spacing to the bottom cooking grate. Thanks for your help day_trippr. You've answered all my questions, some of which I probably should have figured out Since this is not something I do on a regular basis it is good to have you're input. Got the air vents mocked...ironically we changed this mock up later. 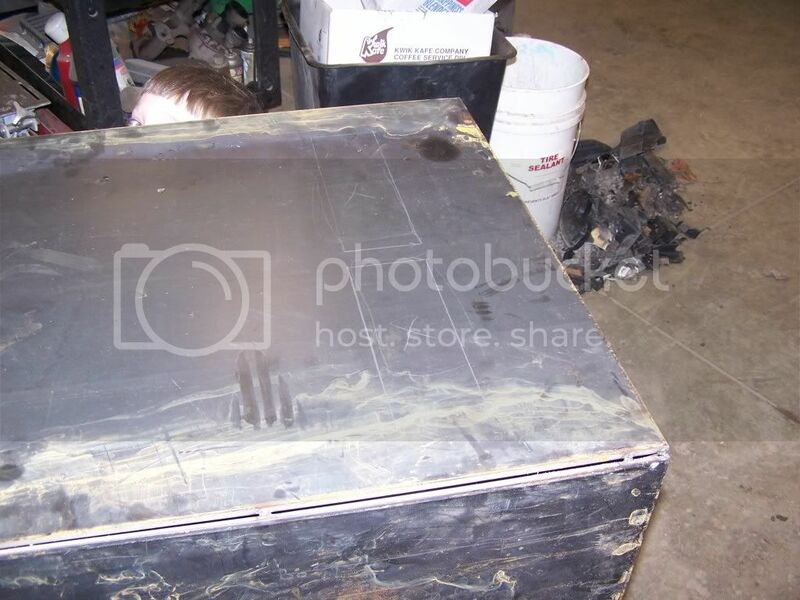 My help is inspecting the inside of the firebox for potential hiding places. 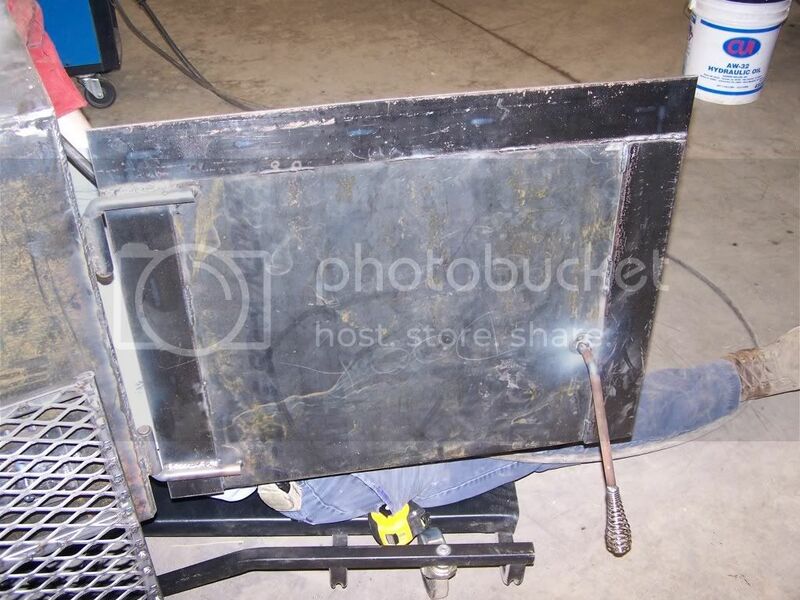 The door is mocked and ready for the plasma cutter on Monday. Uh oh...wife and twins are calling. More pics to come. Next we needed to trim some from the back of the trailer. 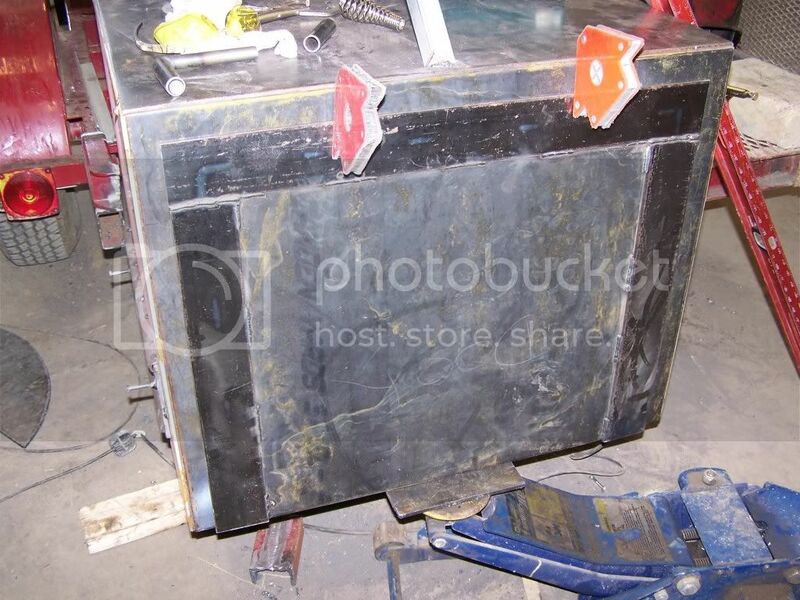 We also had to unbolt the cooker and move it over 2 inches to accommodate the new firebox. 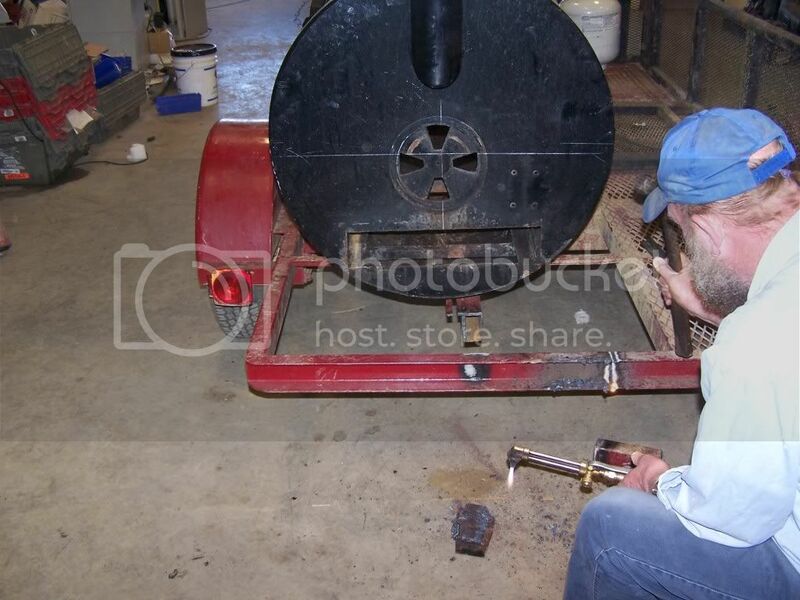 After that, Cliff used a cutting torch to make way for the smoke to move into the cooking chamber. 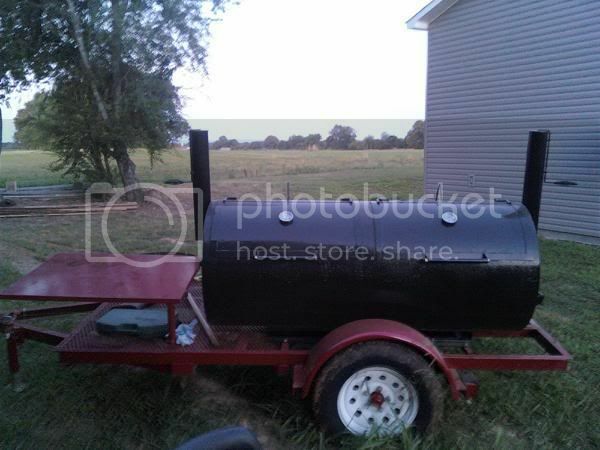 At this point I got really nervous but having seen all the builds on the Smokering helped calm my nerves. I guess we're committed at this point. No turning back now. What hole? Cliff did a nice job on plugging the hole from the previous vent. 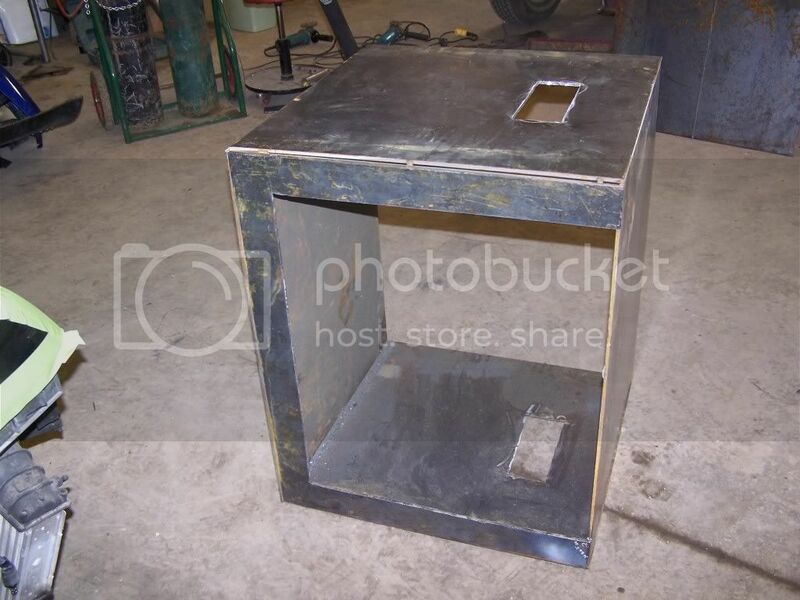 The firebox goes to the plasma cutter on Monday, the remainder of my supplies (9 gauge expanded metal, 3/4 square tubing for the firebox grate, and tuning plates for the cooking chamber) are due Tuesday so I might be able to test this thing by next weekend. 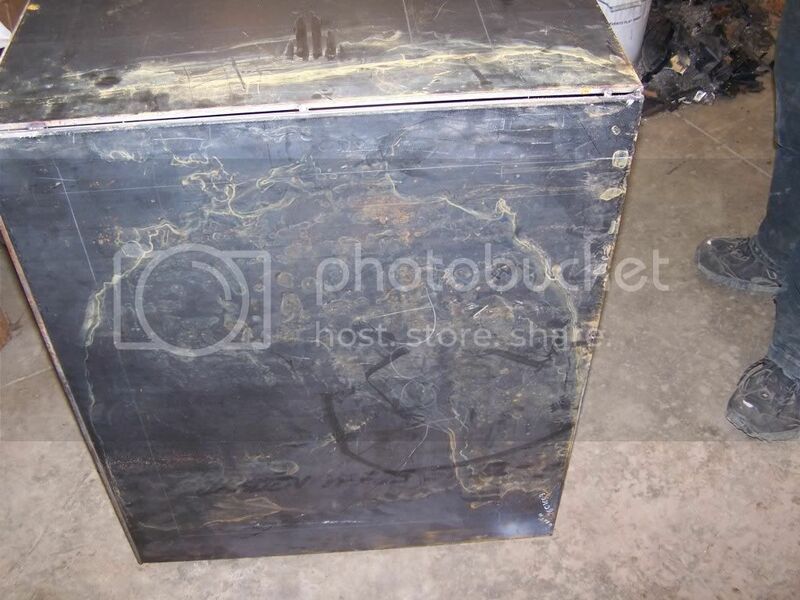 So far I've got $350 in materials plus the many racks of ribs I'll owe Cliff once this is completed, not to mention what I will owe my mechanic for letting us use his space and equipment for the modification. OK, I got my door and vents cut out but the guy who cut it out wasn't listening when I told him not to cut the corners completely out so that I could attach the hinges before completing the cut. Any thoughts on the best way to move forward so that my hinges work properly? So I got the firebox back from the plasma cutter, not too happy about the door being cut off but we'll figure something out. After a few more cuts and tweeks we got her mounted and tacked into place. Hmmm...didn't think of that. 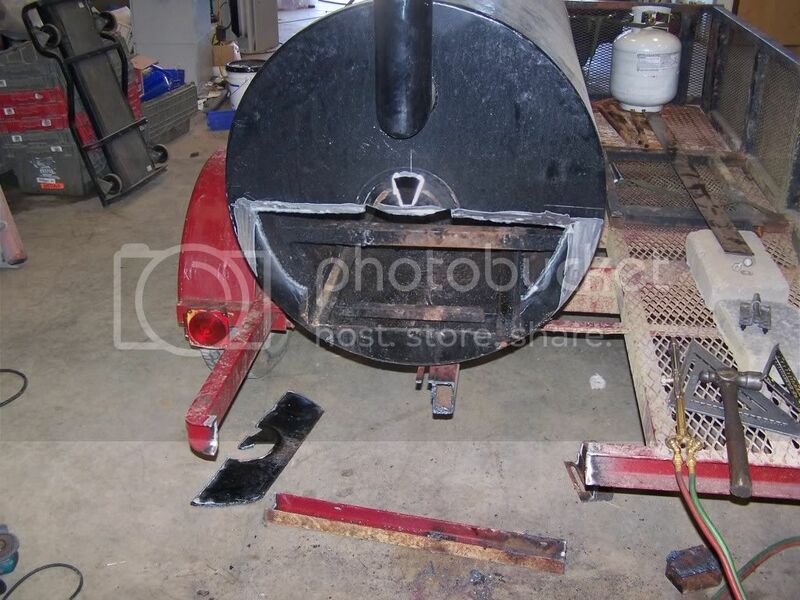 We'll have to cut the braces on both sides and move them to the back of the firebox. Find a problem, fix a problem. I guess you really cant plan for everything. 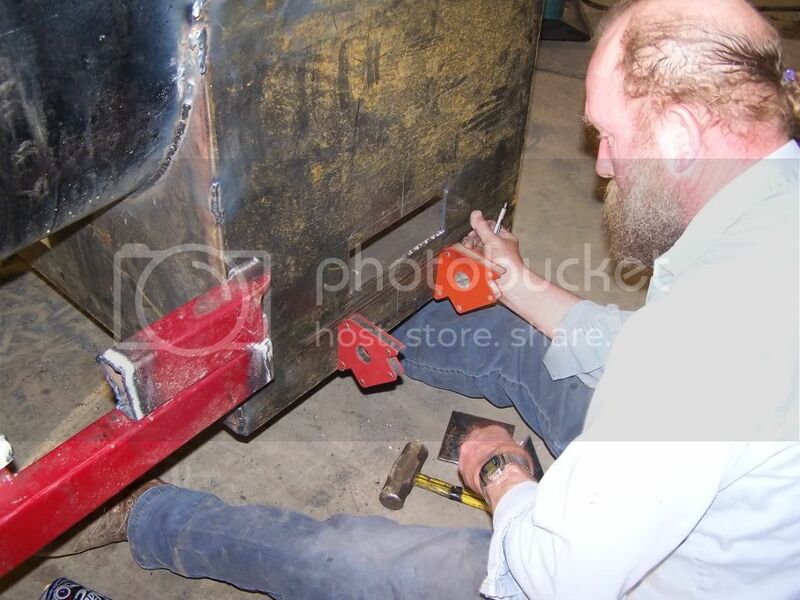 It was a bit harry getting the back plate to fit, not sure we should have done that last but Cliff worked it out. 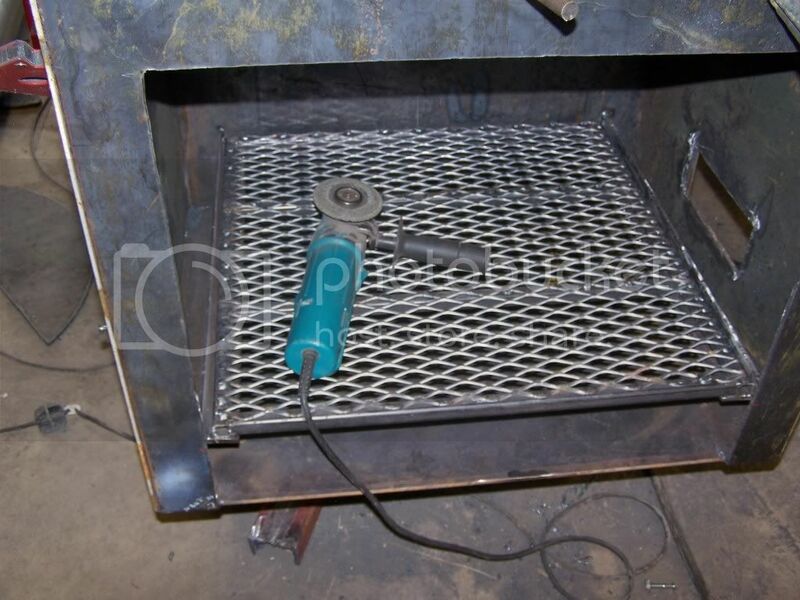 Tomorrow we will work on the grate for the firebox and maybe the tuning plates. 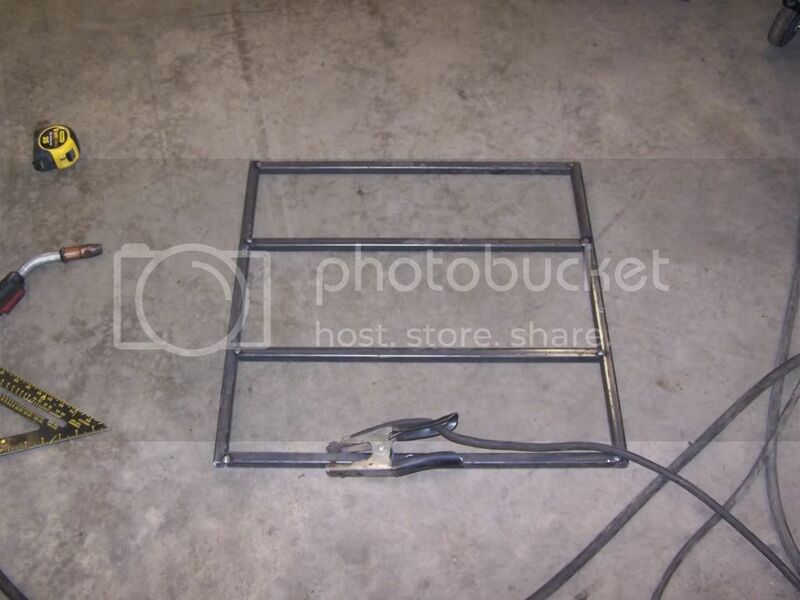 Shelves are welded into place. Our vent has been cut, grinded (is that a word), and tacked into place. It's all about having the right tools! 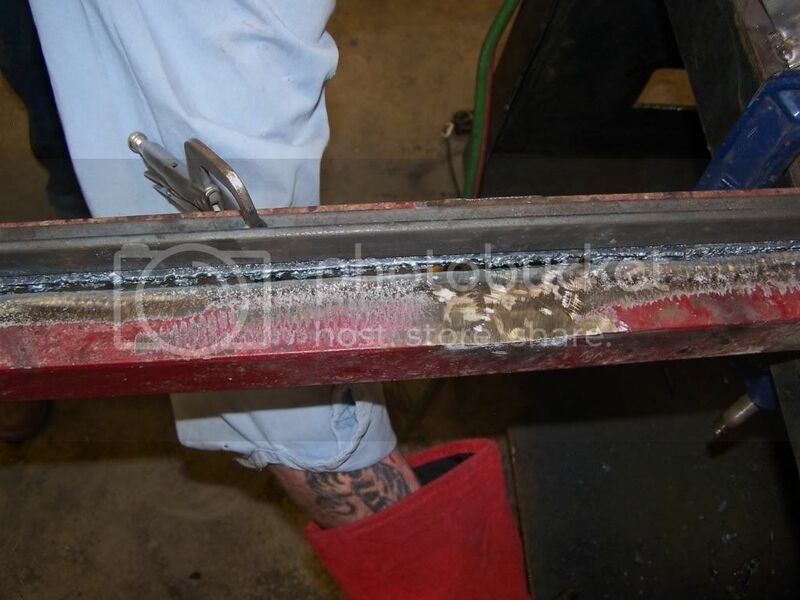 Cliff used a piece of angle iron to hold his torch steady while he cut a piece of channel iron into two pieces of angle iron. Waste not want not...I'm on a budget! I can see by the lack of posts that this is not a very interesting build for you guys but I gotta tell ya, I'm having a blast! Big thanks to joshshelf1 for posting his pics. I took a lot of info from that build. Also, big thanks to K.A.M. for his builds. They gave me the confidence to go forward with this. Can't wait to continue tomorrow! 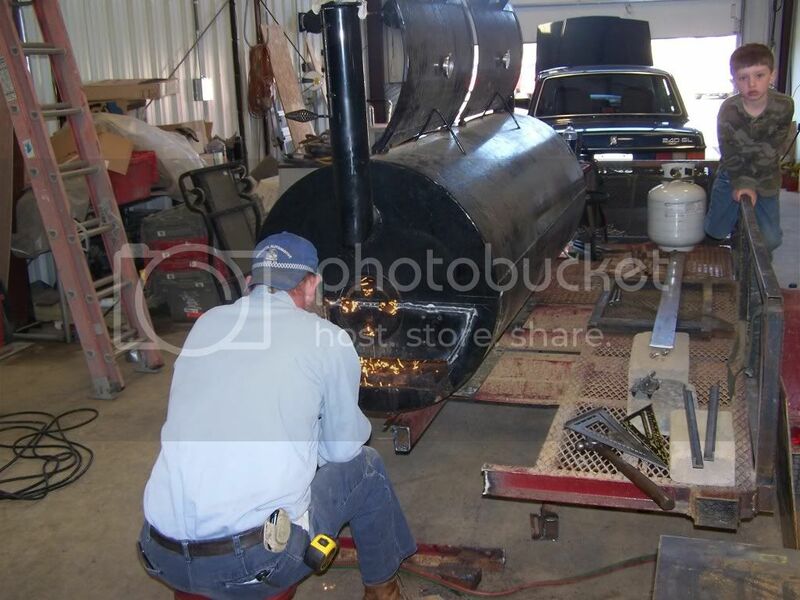 bootlegbbq, your rebuild is looking fantastic y'all are doing some mighty fine work I am watching your progress and look forward to seeing some more pics. 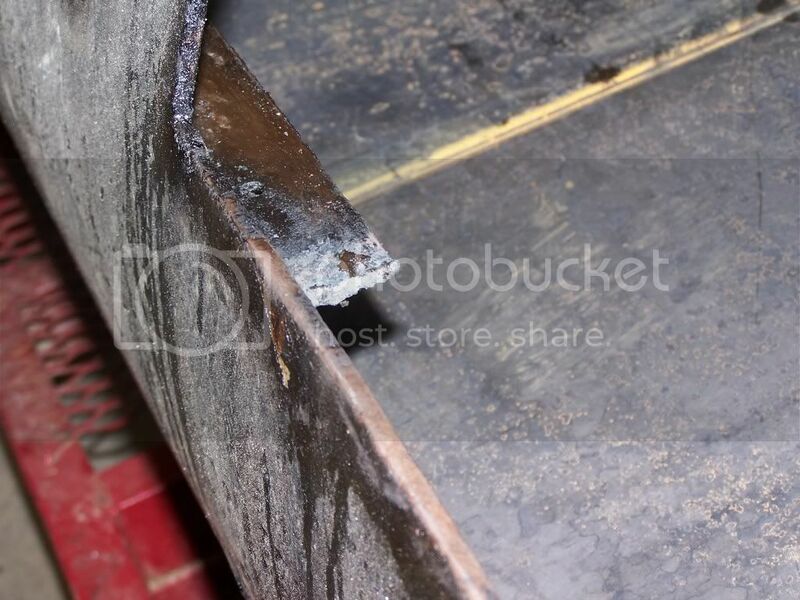 If you are talking about your fire box door being cut loose before the hinges were attached, I would have gone the same way. Mounting hinges on a fixed door and then cutting it loose spells misery because they will almost always sag on you. 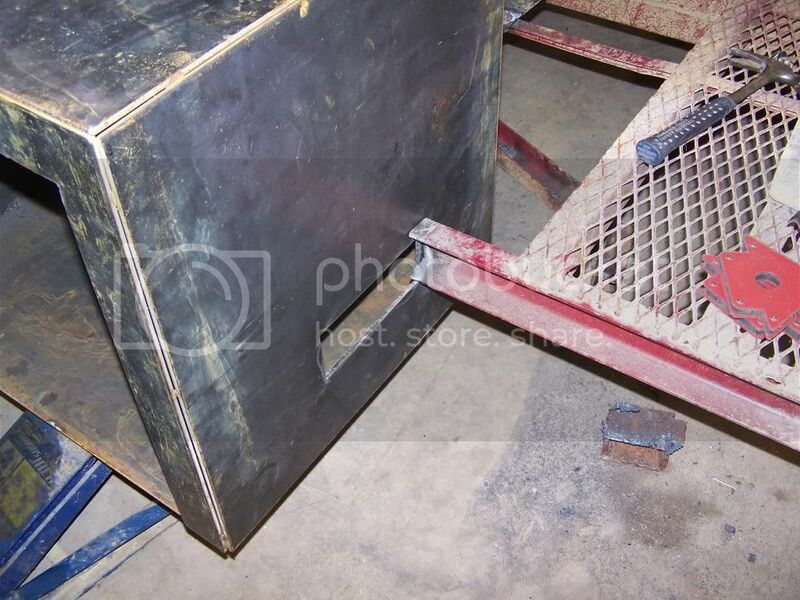 It is better to kick the door up a bit then weld out the hinge to compensate for the sag in material. At least this is how I approach the idea. Thanks K.A.M....I had it all wrong. 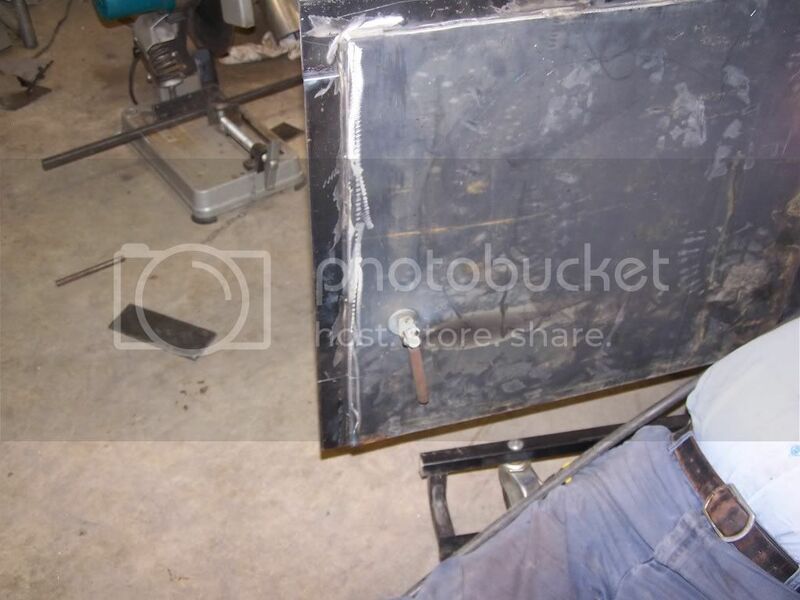 I was under the impression it was better to weld the hinges on, then finish cutting the door. Thanks for the input. 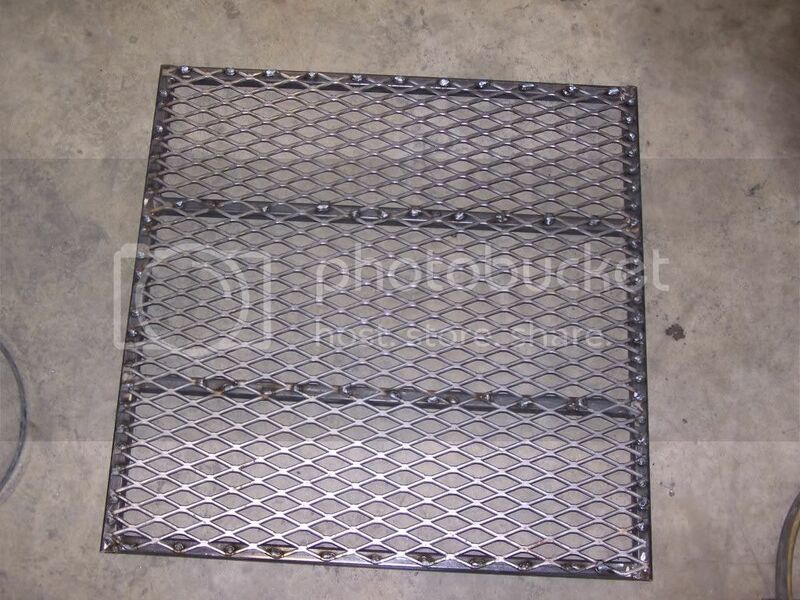 So here is how we built the fire grate. After that we started on the door. We used a wedge system for locking the door down. This isn't exactly what I wanted but it should be functional. 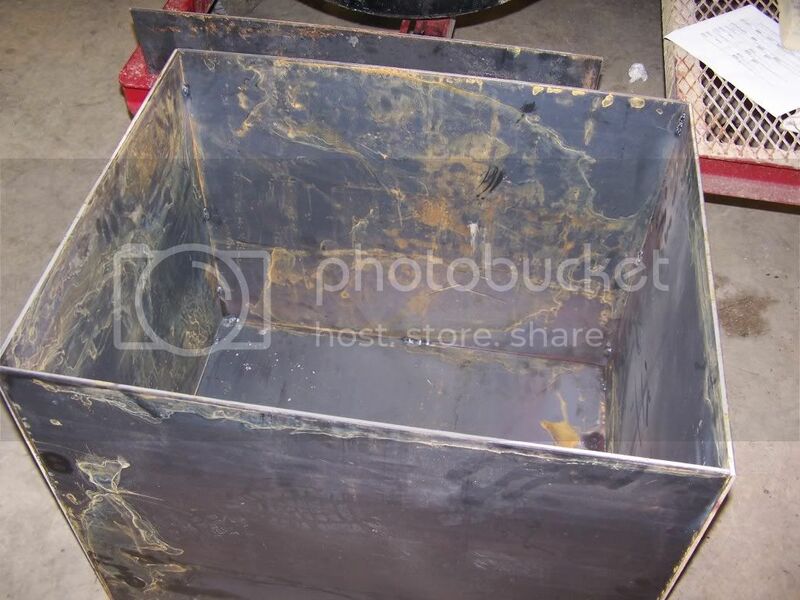 Master welder Cliff liked the look of the front of the firebox so decided to weld it from the inside for a cleaner look. Cliff had to cut a chunk out so we could get the tuning plates in. 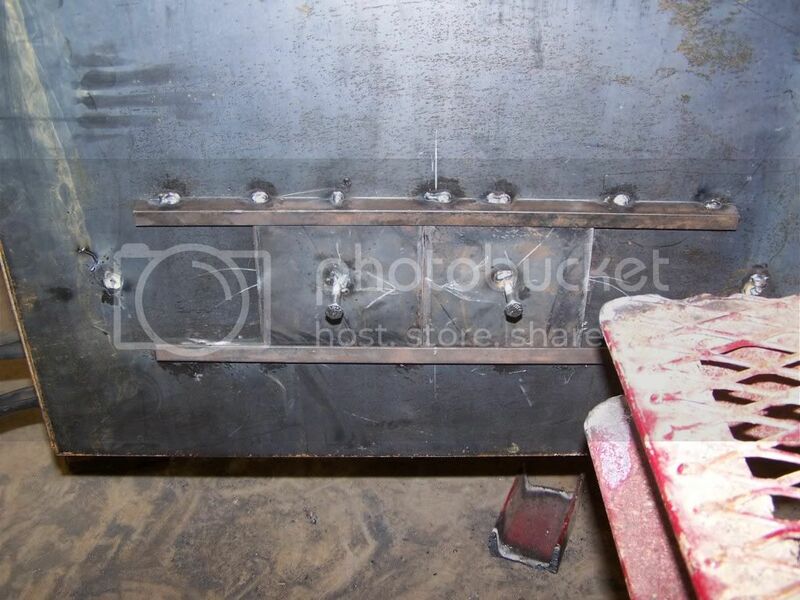 We'll weld it back into place once all the plates are in and fitted. I was really glad to see the tuning plates in. It came as a light at the end of the tunnel. This has been a long process from the planning stages til now and we've got a ways to go but I think we're on the home stretch now. 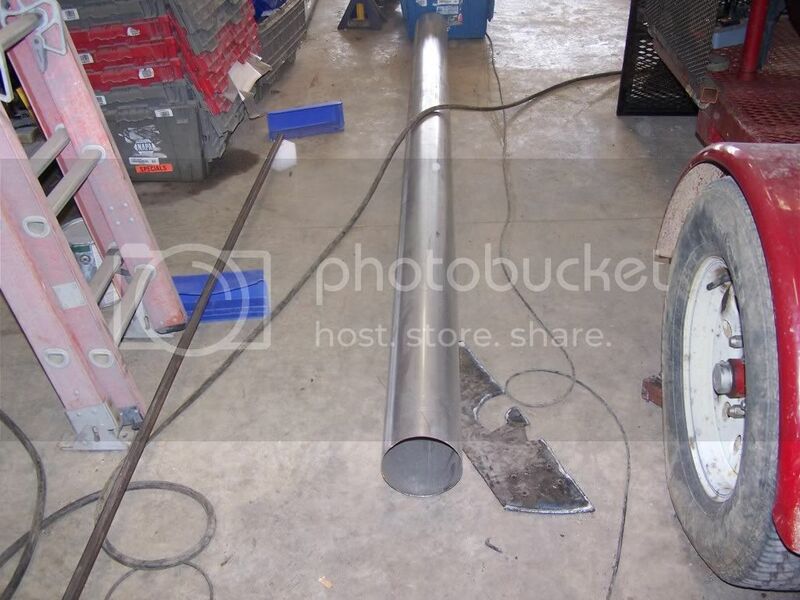 Our next project is going to be getting this 6" exhaust pipe cut and welded on the smoker. I've decided to put one on both ends so that i can use the cooker as a reverse flow but also as a tuning plate model when the need arrives. Both exhausts will be 40 inches in height. Thanks again daytripper for helping me out with this. Not sure if I will ever build my own but I love to look at everyone's projects.